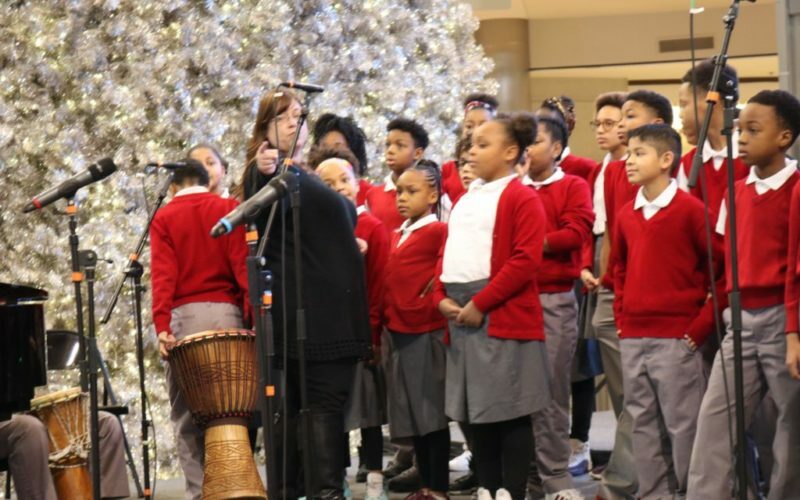 Ascension School’s choir took a trip to the Mall of America to perform in the rotunda as part of the mall’s Holiday Music Festival. The choir sang a variety of Christmas music, and soloists shared some songs as well. Under the direction of Ms. Stephanie Isola, the choir includes scholars in grades 3 through 8. It is an honor to be selected to participate, and scholars must be in good academic standing.